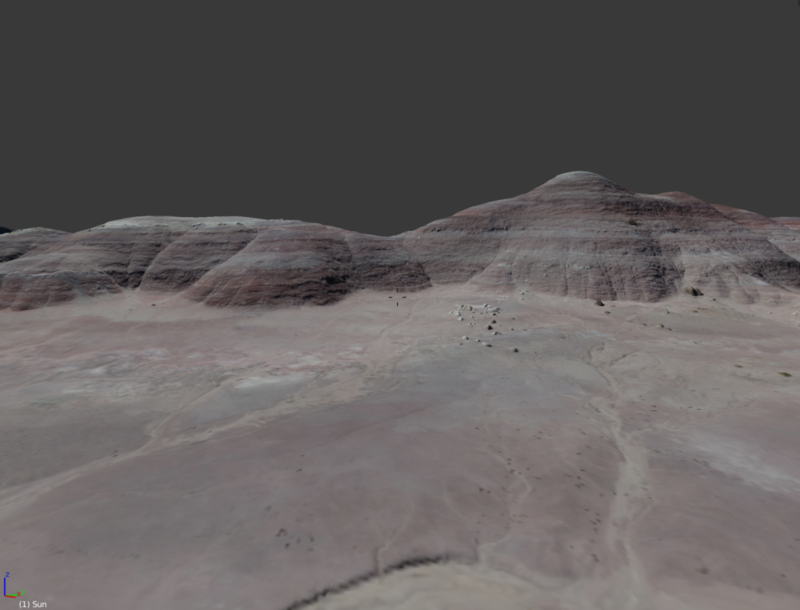 I have some exciting news — tonight our team got a preview of the completed MDRS 3-D terrain model. This is a single “asset file” (think of it like a really big computer image you would load up on your computer), and it has over one square mile of the real terrain around the MDRS. The team at AeroScout LLC, who flew drones at the MDRS a couple weeks ago and have experience in the mining industry (so they know geology! 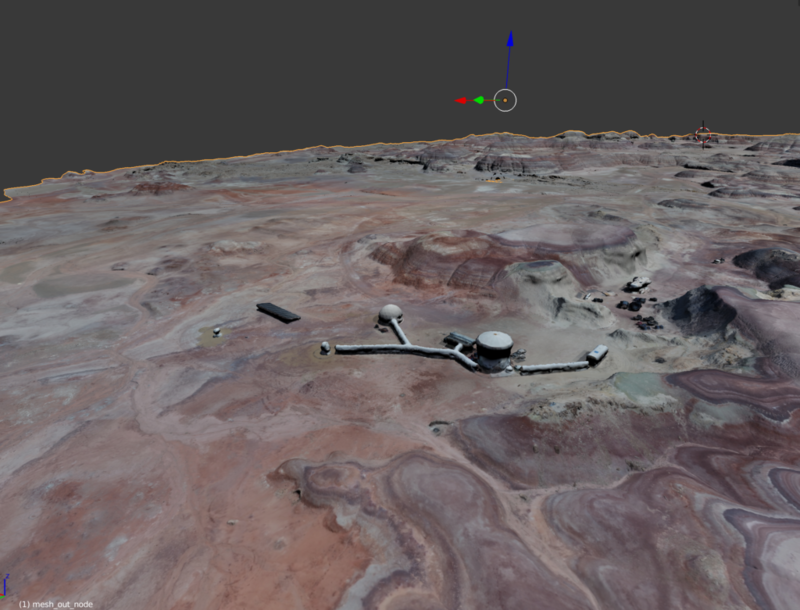 ), gave us a preview of the terrain model which included flying all around the model, zooming in and out, and exploring all the areas around the MDRS using the free and open-source Blender program. We will be sharing this model asset file on Github later this summer, once it’s fully processed and ready to go. This was a very exciting moment because several of us have done a TON of work in getting to this point, but we are still early in the whole process. 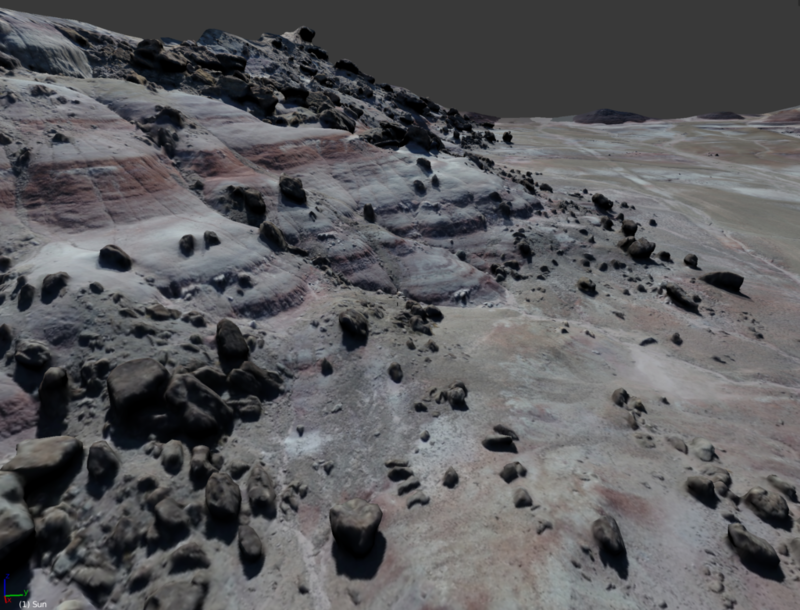 We hope to get an even higher-resolution version of this terrain model asset, and we will be integrating this into our VR environment over the summer. Thank you to Ben Skogen, Casey Wheeler, Shannon Norrell, Az Balabanian, and Robert & Stephen Madsen who were our MDRS photogrammetry mission crew.